The University Career Services will host the College of Liberal Arts and Social Sciences (CLASS) Career Fair. 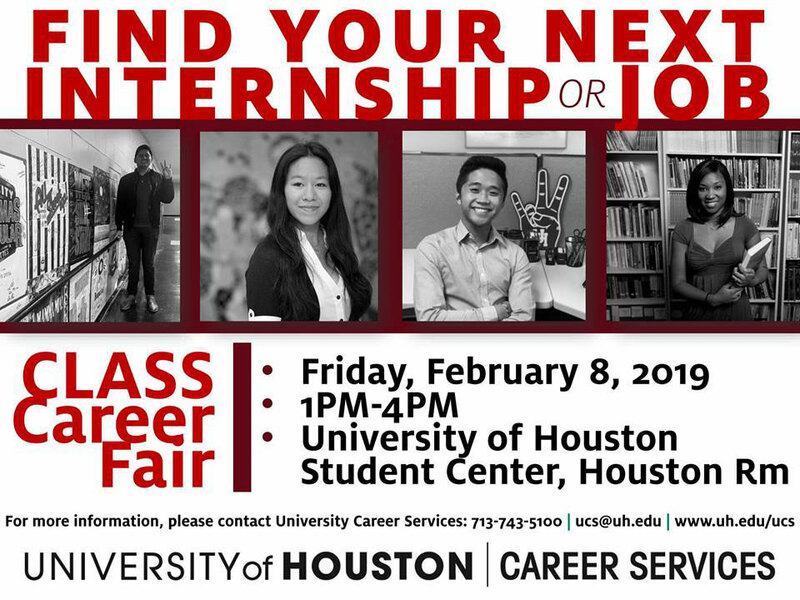 This event is open to all UH majors and classifications. Students must bring multiple copies of their resumes and dress business professional. Students are encouraged to RSVP through CougarPathway.